Do you still have items in your wardrobe that still have tags on them, but you just had to buy them because they were such a good deal? In this video I give you tips on how to shop the sales so that you can differentiate between a real bargain and a item that is going to waste your money. 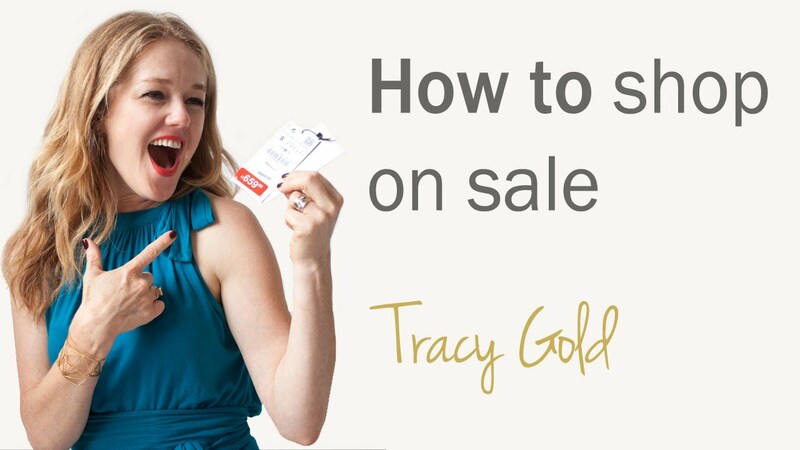 In this video Tracy Gold gives you tips on how to shop the sales so that you can differentiate between a real bargain and a item that is going to waste your money. Before you rush out to see what you can find on sale, take a look at these 3 tips. 1. Does it fit you well. If not, don't even consider it. 2. Will it work with the rest of your wardrobe? 1. Does it fit well? If it doesn’t fit you well, don’t even consider it. 2. Does it work with your existing wardrobe? You need to ask yourself, can I wear it with 3 different mix and match items or can I dress it up or down? For example, if you find a gorgeous printed skirt, do you have at least 3 different tops you can wear it with? Can you dress it up with a jacket or down with just a simple tee? If you have nothing to wear it with, then it’s not a bargain. 3. Would you buy this even if it wasn’t on sale? It’s only a bargain if you really want it, will wear it and you would buy it anyway.